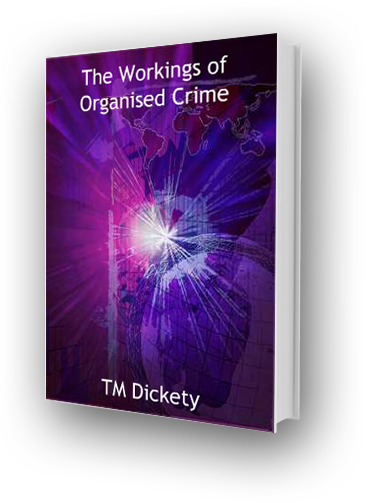 Welcome to the Power of Truth website to accompany Mr Dickety’s book first published in November 2012, The Workings of Organised Crime. My name is Will Nieww, the editor and owner of this site. I am in regular contact with Mr Dickety. If you have any comments on Mr Dickety’s book we will be pleased to hear from you, for the time being by email please to willnieww@btconnect.com. If you would like us to set up a forum page or would like the availability to comment on Mr Dickety’s dairy notes online please do not hesitate to inform us. If I feel it appropriate I will be pleased to forward any emailed comments to Mr Dickety or other family members metioned in his book. It will be up to the individual concerned whether they reply. If you have any other suggestions for improvement of the site we will be pleased to hear from you. Should you have come to this site without prior knowledge of Mr Dickety’s book you can view it’s book cover summary here . From 15th November 2012 the book can be ordered direct from us or bought as a Kindle ebook from the Amazon website. Please see our ordering page for full details. Our first print run, due to a decision made by a third party outside of our knowledge, did not show a correct International Standard Book Number. Web sales of that print run will include labels showing the correct ISBN number for you to use if you if wish. Purchses through bookshops will be of our second print run which does incorporate the correct ISBN. Please show your support by viewing my Avaaz campaign. Click on ‘petitition’ on the Links page. It is almost as if America wants to gratuitously scare it's youngsters to death, in the most formative part of their lives, for absolutely no good reason at all. It is extremely sad. If the security man is publicly exposed Mr Xi will have won his battle. Otherwise those hidden forces will have been too strong for him.